Traditional glamour with 7 graduating scallops reaching 1.5" at highest point. 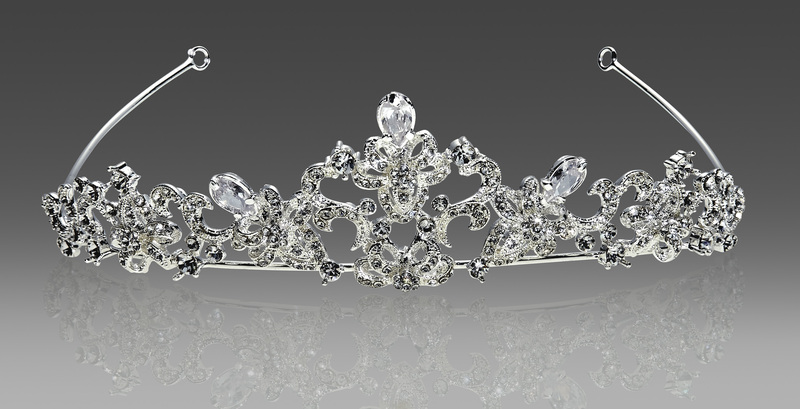 Cinderella charm with delicate crystal scallop and heart shaped peak for full Fairy Tale effect. 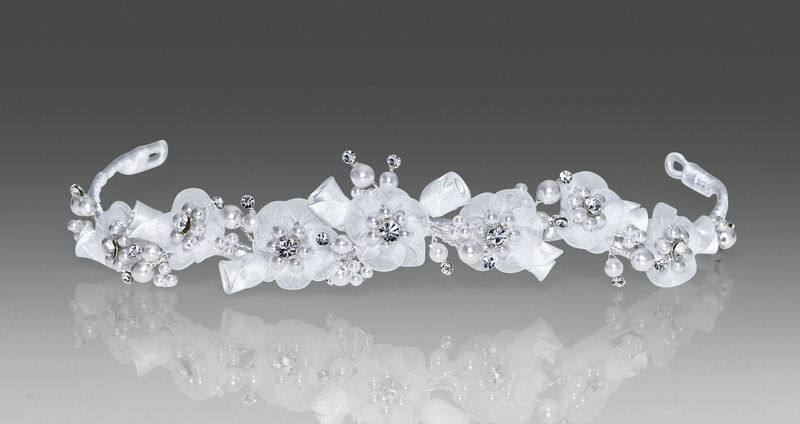 This asymmetrical headband boasts lush organza blossoms, satin accents and subtle sprays of rhinestones pearls & seed beads. Offered in both ivory or white. 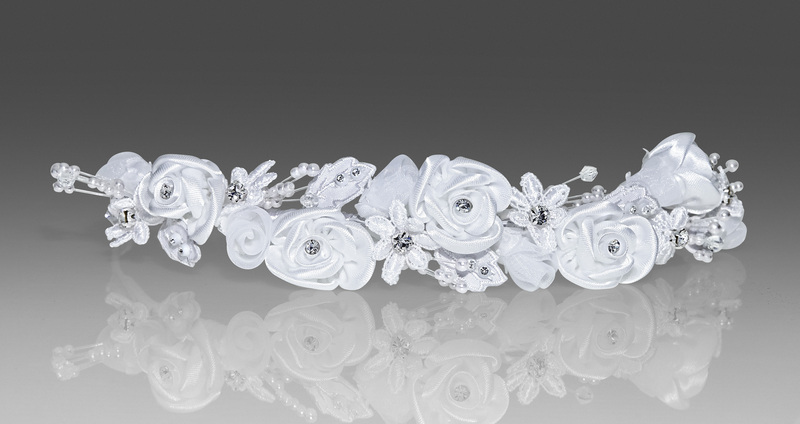 This delicate tiara has hand painted light ivory porcelain flowers nestled between sprigs of clear crystal, fresh water pears & Swarovski rhinestones. 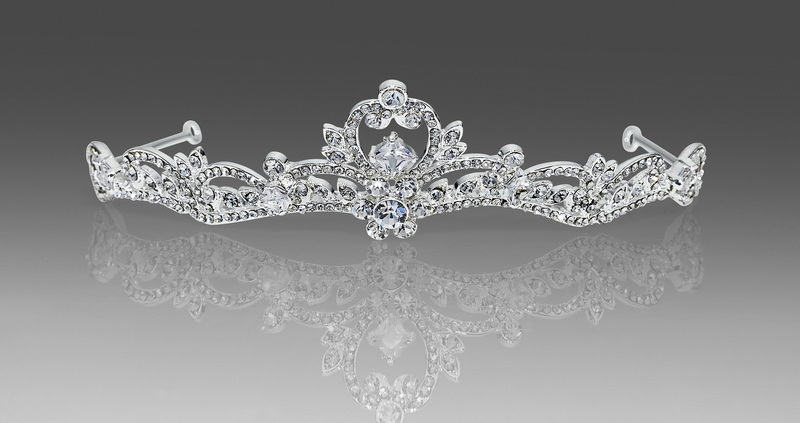 Truly, a tiara inspired by royalty! 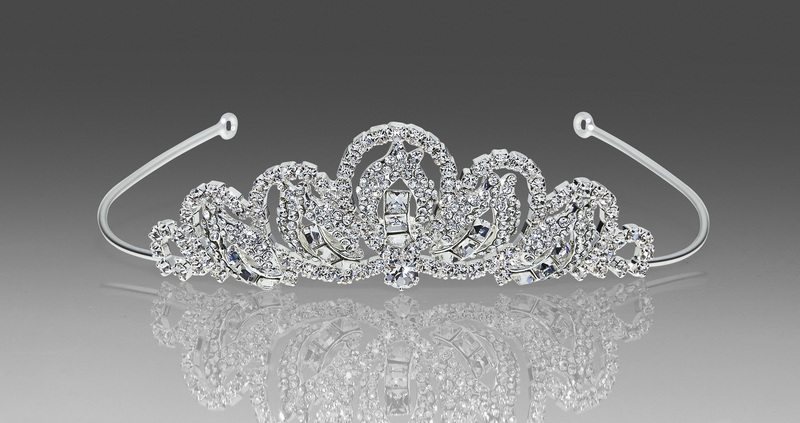 This traditional shape offers much sparkle, while remaining lightweight. This is sampled with a 2 layer merrow veil. 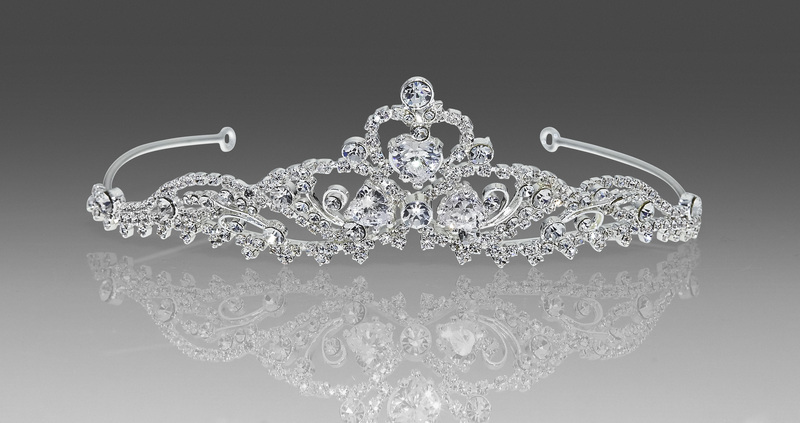 Regal tiara for the petite princess who wishes to stand out from the crowd. 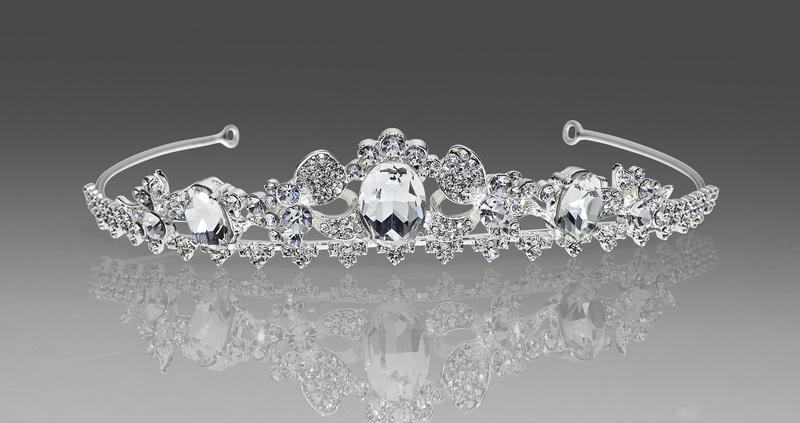 Comprised of different size/shape stones that offer maximum sparkle. Sampled with a 2 layer merrow edge veil. 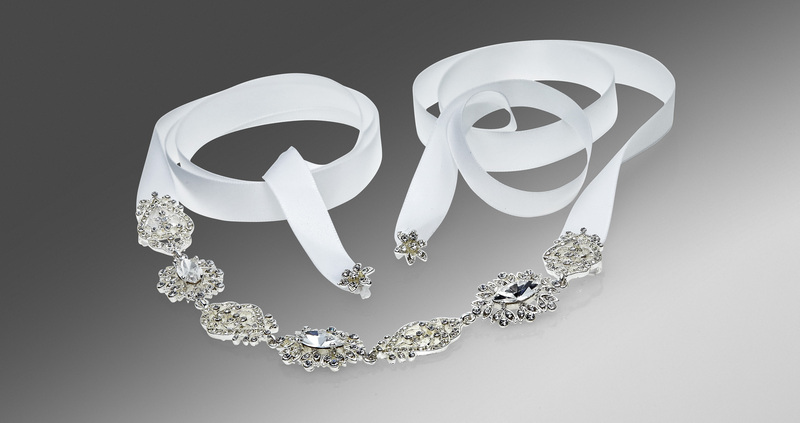 This tiara is made of the purest white organza blossoms, satin rosettes and clusters of pearls and rhinestones. Sampled with a 2 layer ribbon edge veil - matches ANY gown! 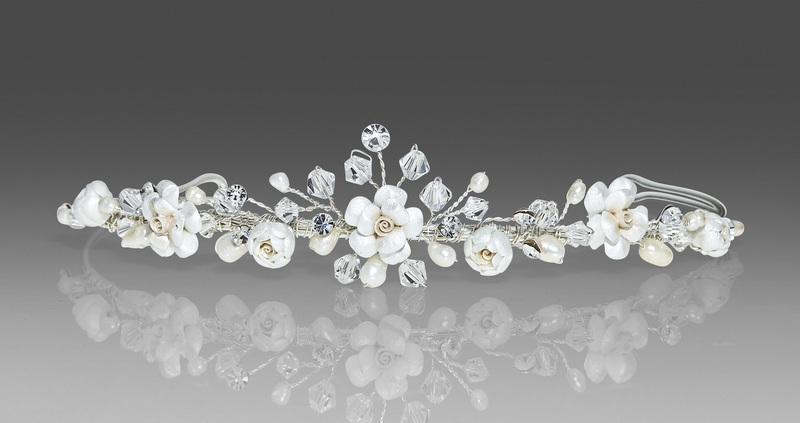 Two tiered crown of pearls, seed beads and rhinestones comes in ivory (for raw silk gowns) as well as WHITE now! Sampled with a 2 layer merrow edge veil with scattered pearls - Your choice, as usual...Diamond White, Ivory or White veiling. 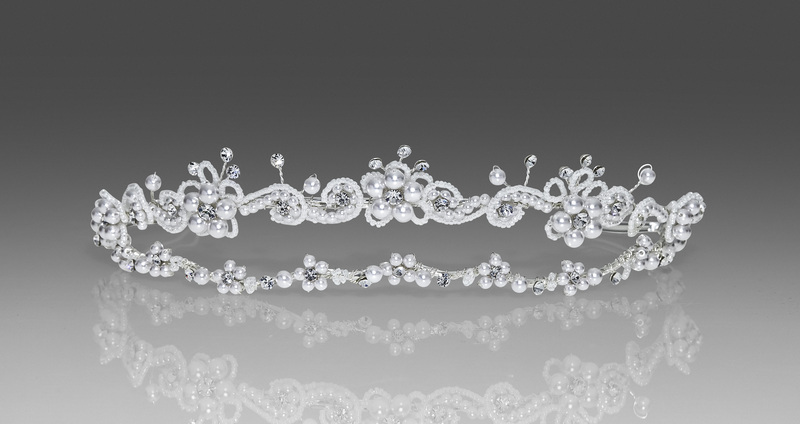 Stunning scroll tiara with crystals and CZ accents.